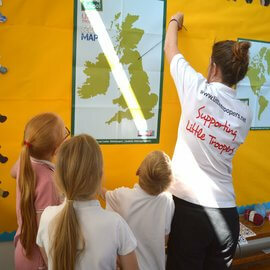 Two of our fantastic supporters have run miles to help Little Troopers recently. Corporal Si Simms and Captain Michael Spencer have both run Marathons for Little Troopers over the last couple of months and have raised over £1,300 collectively! Si Simms took on the Greater Manchester Marathon on the 7th April 2018. Si’s three-year-old daughter and 11 month old son struggled when he was posted abroad on deployment with the Royal Air Force. 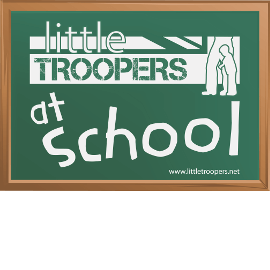 Si’s wife contacted the charity Little Troopers, who sent her a separation pack and arranged a trip to Disney on Ice as part of their Christmas Smiles programme. Si who has served with the RAF for 11 years and completed several operational tours of duty, was so impressed by the charity’s support that he decided he had to give something back. Captain Michael Spencer first learnt of Little Troopers at the beginning of the year when he was deployed with the British Army. 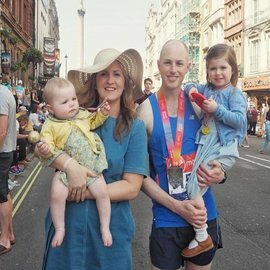 Michael’s wife ordered a mini medal from the charity for his daughter Isla. Since then he found out more about the help they offer military kids and he wanted to help. Michael was lucky enough to get one of the ballot entries for the London Marathon. Michael said “As a serving member of the British Army and father, I know first hand just how much my family sacrifice in support of my service. With frequent home moves and various types of deployments, military children face additional challenges at an already impressionable time. Little Troopers provide that extra level of support and understanding, which is vital to building resilience and maintaining a degree of normalcy for military children.